The Volkswagen Golf Alltrack is the best companion for all your upcoming adventures. This award-winning wagon boasts impressive capability and versatile cargo space, while top safety scores make sure you can take on the day worry-free. 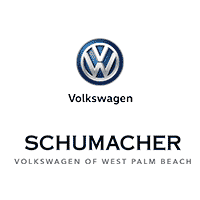 Enhance your explorations in West Palm Beach, Florida, with this energetic VW. * View the IIHS at www.iihs.org. ** View the NHTSA at www.nhtsa.gov. *** View Car and Driver at www.caranddriver.com.